For 100 years, the Algonquin has been greeting and lodging the country's most prominent writers and literary personalities, as well as the leading figures of the American stage. The hotel is best known, perhaps, for the members of the Round Table, a group of luminaries who had in common both the ability to fire blazing witticisms and to withstand being on the receiving end of them. The tone they set during their daily meetings set the literary style of the 1920s. 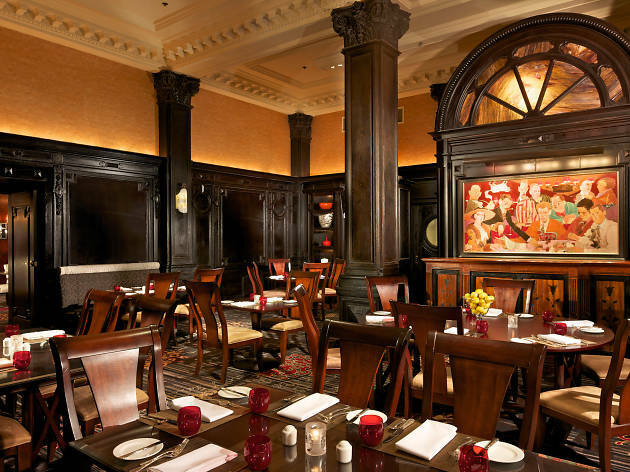 After World War I, Vanity Fair writers and Algonquin regulars Dorothy Parker, Robert Benchley and Robert E. Sherwood began lunching at the Algonquin. Though society columns referred to them as the Algonquin Round Table, they called themselves the Vicious Circle. "By force of character," observed drama critic Brooks Atkinson, "they changed the nature of American comedy and established the tastes of a new period in the arts and theatre." 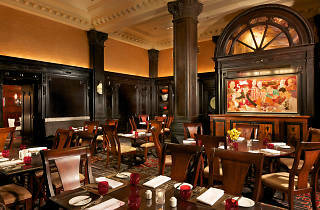 *Check out this offer from Travelzoo for 48% off dinner for two. Click here for more information and to purchase.